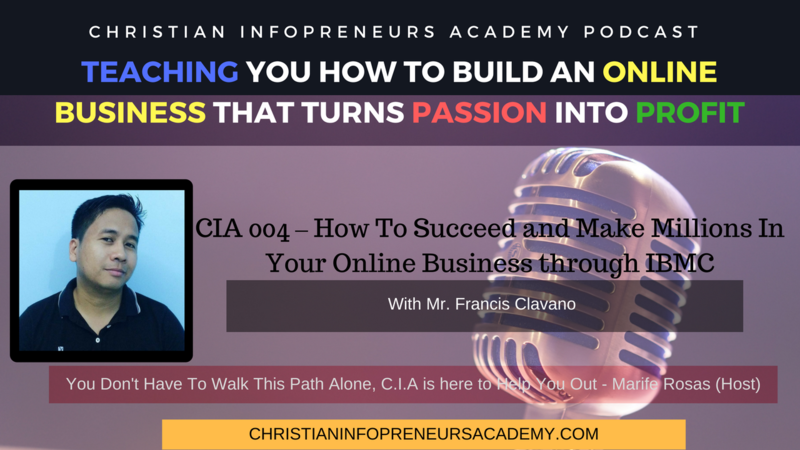 Welcome to episode 004 of the Christian Infopreneurs Academy Podcast. In today’s episode, we’re having Mr. Francis Clavano as our guest. For sure we will get so much value from him. This Episode is super special because this is especially designed for all IBMC Graduates. We discussed here almost all questions that is from you classmate and for sure makakatulong sya sa journey nyo specially if you are just starting out. He is the Founder of Clavmall.com and already made 2 Million in His own business by just applying all the principles we all learned in IBMC. How he handles stress while on the journey to his success and how he coped up? *Please don’t forget to put your comment below to help me grow and improve the show. 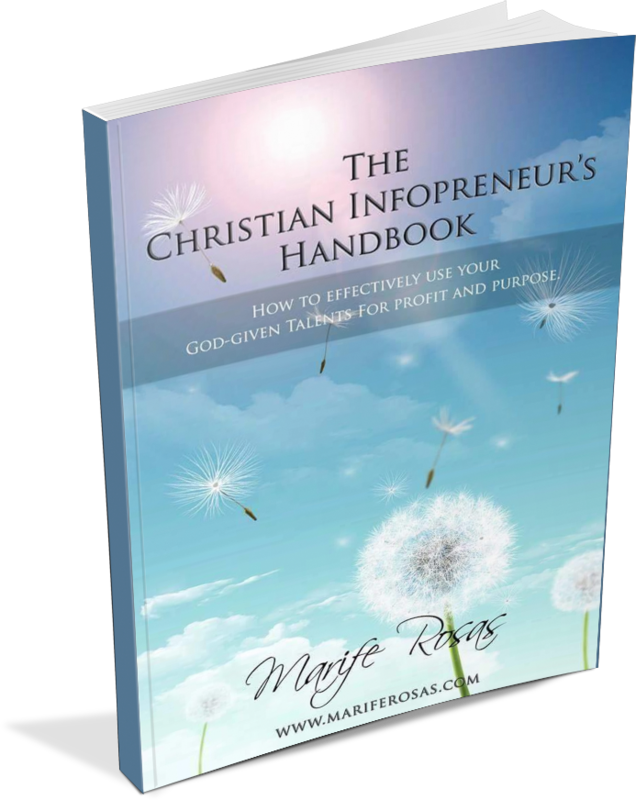 You can email me at support@christianinfopreneursacademy.com if you have questions.